The Faculty of Law was the founding member of the University of Belgrade in 1808, originally formed as the Higher School, offering legal education with a curriculum similar to the Habsburg Royal Academies of that time. Since 1841 it has been continually evolving in accord with the European academic model and standards, acquiring an excellent reputation due to its educational, scholarly, and research mission and its many achievements. 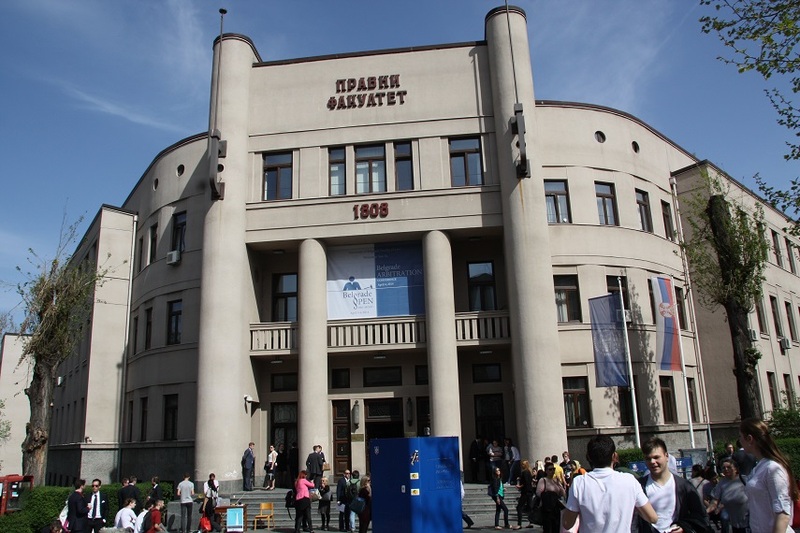 Over 45.000 students have graduated from the Faculty of Law in Belgrade since the end of World War II, and more than 1.500 students have earned their LLM degrees, in addition to approximately 950 candidates who have obtained their doctoral degrees. The University of Belgrade Faculty of Law favors the accession of Serbia to the European Union. It offers a proper legal education through courses in economics, legal philosophy, legal sociology, legal history, and other academic pursuits, combined with the development of practical skills by teaching students diverse and integrative skills, and by offering opportunities to improve those skills through a variety of moot court competitions, legal clinics, legal writing, etc. Currently the University of Belgrade and its Faculty of Law are ranked among the top 500 universities according to the Shanghai Academic Ranking of World Universities and we continue to develop an internationally-oriented approach to the teaching of law. This commitment allows the Faculty of Law to attract students from different countries through the Erasmus Mundus program. In addition foreign students often enroll English-language master course in European Integrations. Furthermore, in cooperation with the Centre Européen Universitaire de Nancy - Université de Lorraine, it offers a French-language degree - Le Master «Etudes Européennes», 2e année, spécialité «Droit de la Construction européenne». The University of Belgrade Faculty of Law has established worldwide academic and professional relations and cooperation with numerous law schools in Europe, USA and Asia. Amongst them are: the Faculties of Law of the University of Paris 1 Panthéon-Sorbonne, the University of Paris 2 Panthéon-Assas, the University of Strasbourg, and the European University Centre – CEU of the University of Nancy 2 (France), Faculties of Law of the University of Pittsburgh (USA), the Chuo University in Tokyo (Japan), the M.V. Lomonosov Moscow State University (Russia), the University of Graz (Austria), the Etvos Lorand University, Budapest, (Hungary), the Athens University (Greece), the Warsaw University and The Adam Mickiewicz University in Poznan, (Poland), the Karlovy University in Prague (the Czech Republic), the P.J. Safarik University in Kosice (Slovakia), the University of Amsterdam (Holland), the University u Fribourg (Switzerland), Zhejiang University in Hangzhou (China), the Max Planck Institute (Germany), etc.